Janine McIntosh began working at AMSI in 2005, making her the Institute’s longest serving staff member. She has been the manager of the AMSI Schools program since 2011. It is in recognition of her exemplary and influential service to AMSI and to Australian school mathematics education that the AMSI Board awards her a Distinguished Service Medal. Janine’s commitment to AMSI is extraordinary. She has been an exemplary ambassador, representing AMSI widely on bodies such as the Australian Mathematics Trust, the Australian Association of Mathematics Teachers, the Mathematics Education Research Group of Australia and the Australian Mathematical Society. She has made submission to, and appeared before, parliamentary inquiries. Most importantly Janine has gone that extra mile on every occasion, the most notable being the development of Choose Maths and the negotiations with the BHP Billiton Foundation in 2013–2014. This is the single largest philanthropic grant in the history of the mathematical sciences in Australia and its impact will be extensive and long lasting. Janine leads AMSI programs for schools, from concept, through fundraising to implementation and evaluation. These programs have been funded by the Australian Government, education jurisdictions and private sector partners. Janine worked closely with Garth Gaudry and Michael Evans on the ICE-EM mathematics text book project as the lead author of the primary texts and she went on to join ACARA’s writing team for the F-10 Australian Curriculum Mathematics. 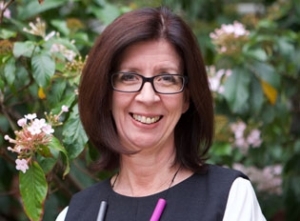 Janine’s leadership and talent for project management have guided our government commissioned TIMES and SAM projects to success and created a remarkably significant body of online support materials for Australian teachers of school mathematics. Janine has been the driving force in the growth of public and private sector support for AMSI’s work in schools but, to her credit, working with children and teachers in the classroom continues to be her passion. Janine’s contribution to AMSI and school mathematics has been outstanding. Australian students and teachers will benefit from her vision and energy for years to come. AMSI is a collaborative venture of the nation’s universities, professional societies and government agencies, that seeks to integrate research, education and industry involvement to deliver mathematical and statistical capability and provide a strong base for national innovation.